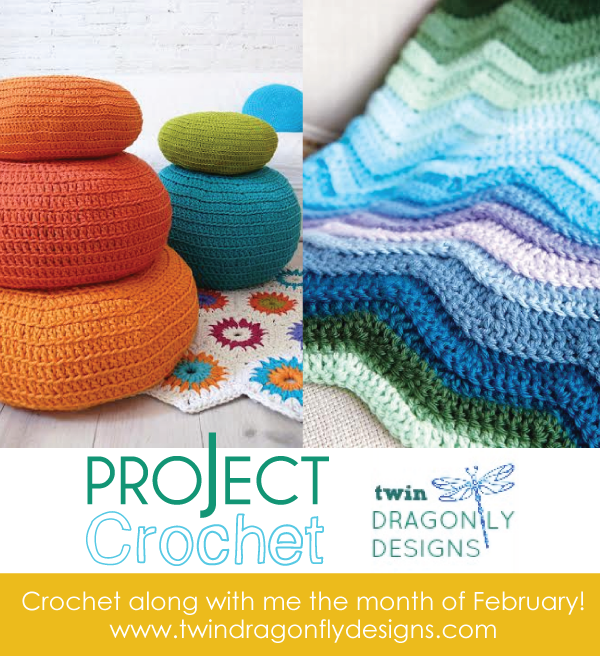 I am so excited to announce Project Crochet, a crochet-a-long for the month of February, hosted by Heather of Twin Dragonfly Designs, Mandy from Sugar Bee Crafts and myself. We all have a love of crochet and we want to share that with others. Whether you are new to crochet or you’ve been doing it for years, we would love for you to join us. 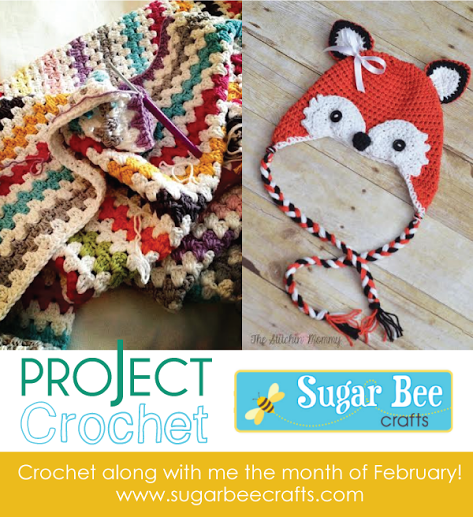 We will each be sharing a project on our blogs and you can choose to crochet along with one of us, or if you prefer, pick your own project to tackle. 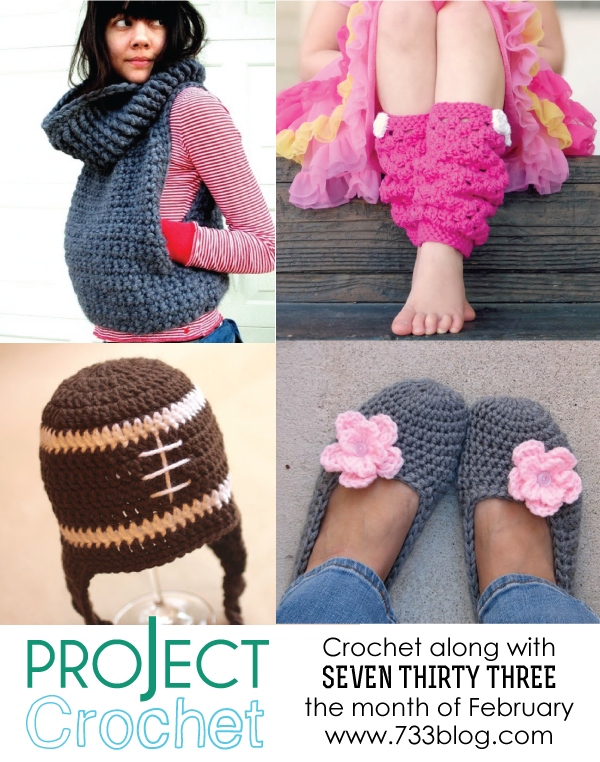 We would love for you to share your creations with us on Facebook, Twitter, and Instagram using the the #projectcrochet hash tag. AND the last week of February we will be hosting a great Crochet-themed giveaway! I have chosen to do four separate projects – one a week. I’m going to start with the biggest of the 4, a Miner’s Vest. The pattern is available for sale via Rose Tung, an Etsy Shop, for $6. I’m loving the style and it’s Katniss-quality (Hunger Games anyone?!?). I would love for you to join me! Each day on my social media sites I will be posting an update on my progress and it will be a place where you can keep me updated on yours as well. 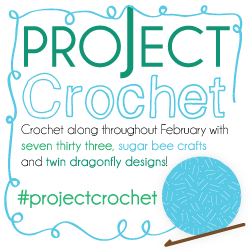 If you share a photo or post, make sure to include the #projectcrochet hash tag so we can check in with you! I’ll be there to lend a hand or give advice if you need it. Leg warmers using the pattern from Domestic Bliss Squared, an Infant Football Hat from Repeat Crafter Me, and beginner Adult Slippers from Eva’s Studio ($4.90). Stop by Twin Dragonfly Designs to find out more about Heather’s projects! And don’t forget to check out Mandy’s at Sugar Bee Crafts! Never crocheted before? No worries! Heather has started a “Learning to Crochet” series over on Twin Dragonfly Designs, which will give you the step-by-step instructions that you need to get started. I have also shared several tutorials that I used to learn last month, and my Crochet Pinterest Board is full of beginner ideas!